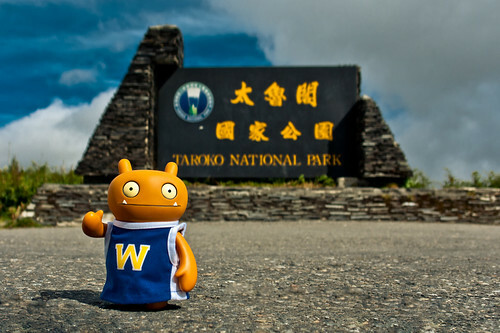 Uglyworld #1629 - Taroko Nationals Parker (Project TW - Image 211-366), a photo by www.bazpics.com on Flickr. Ups high in the mountainers of Taiwans there is a massivers area callereds Taroko Nationals Park, it has some of the mostest amazerings sceneries I has ever settered my eyes on. Mountainers, valleys, aboves and belows the cloudies, and a massivers gorge. The troublers with a place so biggers is you needs a lot of times to explorers it all properlies. Maybies I will be ables to visiters it agains someday and finds some more of it's hidered gems!